Question 6: Can god tell a lie? Question 7: Is observable physical evidence more important and valid than what the bible claims to be true? Question 8: Is there any amount of evidence that would change your views? 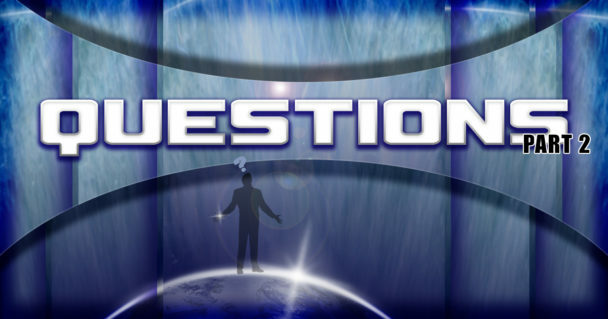 Question 9: What physical proof is there that your particular god even exists? Question 10: Do you believe hell is a justifiable punishment for a simple lack of belief? Matthew 17:14-16 (Yet) the disciples are unable to do so. Matthew 8:28-33 Two demoniacs are healed in the Gadarene swine incident. Mark 5:2-16, Luke 8:26-36 One demoniac is healed in this incident. Matthew 7:1-2 Do not judge. Matthew 7:15-20 Instructions for judging a false prophet.